One comment that Christian pastors sometimes hear from people they are counseling is that it would be easier for them to have a strong faith if they could see God doing the same kinds of miracles today as are recorded in the Bible. The unspoken assumption is that seeing is believing—that the people who lived in Jesus’ day found themselves more readily trusting Him because they could see His great works. Such comments show the need for a closer reading of Scripture, for there are many cases where seeing great miracles didn’t move observers to faith. For example, John 11 records Jesus’ raising Lazarus from the dead—a convincing sign if there ever was one. Yet the authorities took the miracle as a reason to oppose Jesus, not to believe in Him (vv. 45-53). Scripture also records occasions when even God’s people experienced disbelief after seeing many miracles. Consider Joshua 7, which records what happened at Ai not long after the Israelites conquered Jericho. After the conquest of Jericho, when a shout brought the walls “tumbling down” (chap. 6), you can imagine what the feelings were among the people of Israel. God had delivered them in a dramatic, supernatural way, removing from their path the most formidable obstacle to the conquest of Canaan. He had delivered on His promise that He would give them every place where Joshua set his foot. So, you would think there would be nothing but elation and confidence among the troops and especially in the heart of Joshua. But what transpires is a major comeuppance for Joshua and the Israelites. After a scouting party reports that Ai should be easy to conquer, Joshua sends a force to take the city, but it is quickly routed, and thirty-six people are killed (7:2-5). How does Joshua respond? Here we see Joshua, the one who in the past has always been courageous, the man of faith who gave the good report to the nation that Israel could take Canaan. Now he’s rending his garments and complaining to the Lord, saying, “Why didn’t You just leave well enough alone? We could have lived happily ever after on the other side of the Jordan, but now we’re humiliated and the news of this defeat will go all through the Promised Land.” Joshua, in a moment of disbelief, is saying to God, “What have you done for me lately?” His faith is so fragile that after one minor setback, he loses his confidence and is in mourning. Joshua thought he understood the full measure of God’s commitment to him and to his army, and he is beside himself when this defeat takes place at the hands of an enemy that Israel should have been able to run over without the help of God. Now even with God’s promise, they suffer this humiliating defeat. All of a sudden, Joshua’s wondering, “Was God’s promise of success an illusion? Was I hearing things? 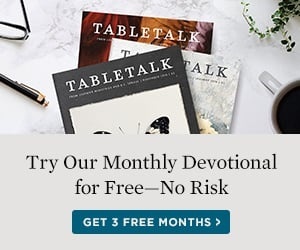 God promised that we’d never be defeated, and now we’re defeated.” What Joshua endures here, as we see in his fasting, mourning, and seeking God’s face, is a crisis of faith. Why were the Israelites defeated? Joshua 7:1 tells us: “The people of Israel broke faith in regard to the devoted things, for Achan … of the tribe of Judah, took some of the devoted things. And the anger of the Lord burned against the people of Israel.” Yes, God promised Israel victory, but He also commanded the people to exercise scrupulous obedience to the terms of this conflict. God instituted the ban against the Canaanites, meaning that in this conquest of holy war the soldiers could not take any personal loot or booty. And one man in the army disobeyed. Achan succumbed to the temptation to line his own pockets with the spoils from the victory at Jericho. And because of one man’s sin, God held the whole nation of Israel accountable. Because of this trespass, God’s anger is expressed against Israel, and His providential judgment causes this defeat. Scripture warns us that on this side of glory, there is not a one-to-one correlation between obedience and blessing. Faithful people are often successful, but sometimes they experience great defeat. The faithless often suffer for their wrongdoing, but sometimes they enjoy many outward successes. Nevertheless, success and strong, confident faith are some of the blessings that the Lord gives to those who keep His commandments (Ps. 1). Though God has not promised to act in the same miraculous manner today as He did in the days of old, we can expect Him to move in our behalf. We don’t merit righteousness before our Father by our obedience, and the Lord’s grace is so vast that He regularly blesses us in spite of our disobedience. Still, perhaps we would see more blessing and experience less doubt if we were to serve Him more faithfully.